I am busy making Fuzzy Soaps™ for Another Damn Craft Show at Art Enables on June 13th. This “juried collaboration of artisans with one simple mission: to celebrate the local DC arts-and-crafts scene” is being organized by the amazing Jessica Blaszczak of This Little Piggy and Beth Baldwin of Tigerflight, two leading creatives/organizers for the DC area craft scene. It also features many, many of my favorite DC-area crafters. You can read more about the show and the featured artists on the Another Damn Craft Show Blog! The soaps are an old customer favorite, available only at shows. Made with organic soap and wrapped in sustainably raised and dyed merino wool, these little weirdos are practical and fun. I will have them in a variety of colors and flavors! We are a 2014 Martha Stewart American Made Award Nominee! The American Made event occurs annually in New York City and serves to bring together entrepreneurs, and small businesses across the country that are focused on crafts, style, design and food, etc. Each year Martha Stewart Living recognizes several small businesses in these categories that are dedicated to entrepreneurship and their communities. These selected businesses earn the title of American Made Winner along with some great publicity and promotion materials. A panel of judges and Martha Stewart herself handpick most of the winners, but the audience does have a say in choosing one lucky winner. You can check out our profile here and, if we make it to the semi-finals, vote for Herban Lifestyle starting September 15th! Join Us at Handmade Arcade in Pittsburgh, PA! The following post is by Katie Perugini, Herban Lifestyle’s Creative Communications Strategist. As the holiday season falls upon us we hope you will join us this weekend in for a handmade holiday shopping experience in a beautiful city – The Handmade Arcade in Pittsburgh, Pennsylvania. 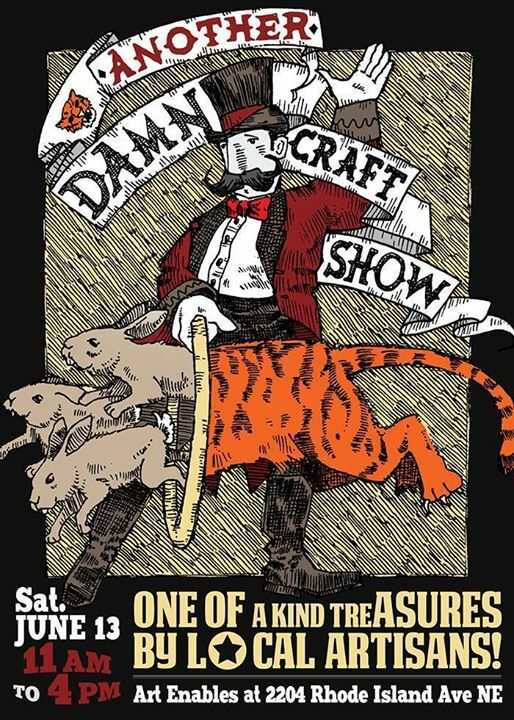 Now in it’s 9th year, the Handmade Arcade is Pittsburgh’s first and largest independent craft fair. This weekend, it returns to downtown Pittsburgh at the David L. Lawrence Convention Center on December 8 from 11am to 7pm with free admission. Herban Lifestyle is excited to be a vendor in The Handmade Arcade for a second time and first time in the Holiday show. If you’re in the area or making the trip, please stop by and say hello! 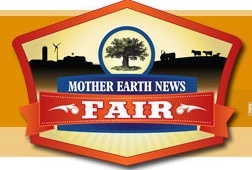 We will be at booth #91. Remember to visit the shopper info page to get all the information you need to maximize your Handmade Arcade shopping experience! I also compiled a short list of cool things in Pittsburgh. This is by no means an exhaustive list, just a few of my favorites. See you there! Phipps Conservatory and Botanical Gardens– Founded in 1893, the conservatory currently has thirteen rooms with different themed gardens featuring various exotic plants. I visited the gardens a little over a year ago was impressed by the commitment to sustainability, environmental education for the community and stunning photo ops. Mount Washington –The view of the Pittsburgh skyline is as breathtaking as seen in the pictures. I had the opportunity to view it for the first time while sitting on a bench on top of Mount Washington in addition to riding on the Duquesne and Monongahela Inclines–which are the oldest continuous inclines in the world. Although it is definitely a “cliché” Pittsburgh activity—the experience is definitely worth it. The Cathedral of Learning – Despite being a Penn Stater, I couldn’t help but stand in awe next to the University of Pittsburgh’s Cathedral of Learning. Not only is it 42 stories and the second tallest university building in the world, the inside looks like something straight out of a Harry Potter movie. It’s so beautiful you wish you had the opportunity to study in this building. The Bridges – Pittsburgh has an incredible amount of character and its bridges are undeniably a big part of that. Pittsburgh has hundreds of bridges within the city limits, practically begging you to get out of your car and take pictures every where you go. Join us on 11/10 for our 3rd year at Crafty Bastards! The following post was written by Katie Perugini, Herban Lifestyle’s Creative Communications Strategist. Between the weather, the elections and Herban Lifestyle being super busy, it has been a crazy fall. And we’re more than ready to have some serious fun! That is why we are so incredibly excited for Crafty Bastards return on Saturday, November 10th for it’s 9th year in Washington, DC. With temperatures projected to be in the 60s, over 140 vendors and an estimated 30,000 attendees, it is guaranteed to be an amazing show! We are super honored and excited to have been chosen to be a vendor for our third year in a row! It’s not only a great place to be a vendor; it’s also a dream-come-true for the shopper looking for unique, high-quality handcrafted gifts. Typically the show is held in October but this year’s November date makes it ideal for holiday shopping. You can take a look at the vendor gallery to get a preview of the who will be selling what, then download the official Crafty Bastards vendor map so you can make sure you find us and all your other favorites! It’s also important to note that Crafty Bastards is showing a different hip DC neighborhood some love this year with its move to Union Market, located at 1309 5th Street NE in Washington, D.C., and accessible via the NoMa-Gallaudet University/New York Ave. station on Metro’s Red line. If you are in the DC area this weekend, come visit us at booth #16 and say HI! In addition to everyone’s favorite fuzzy soaps, we’ll also have a variety of beer soaps, men’s grooming products, curiosity soaps and gift sets. The show will be held from 10:00am to 5:00pm. Admission is $5.00 and 2-for-1 tickets are available for sale through tomorrow. Join Us at the Farm-to-Street Party on July 21st! 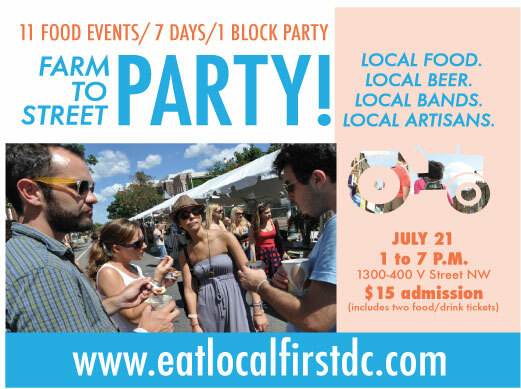 Please join us at the second annual Farm-to-Street Party being held in the awesome U Street neighborhood! Enjoy scrumptious dishes made with fresh ingredients from local farms, drink local craft beer and wine, shop local retailers and take craft food classes in the pop-up park. Entertainment will by provided by musicians via Listen Local First! The Pug featuring DC Brau, Chocolate City and 3 Stars Brewery.